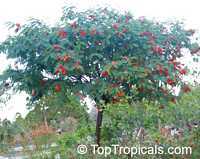 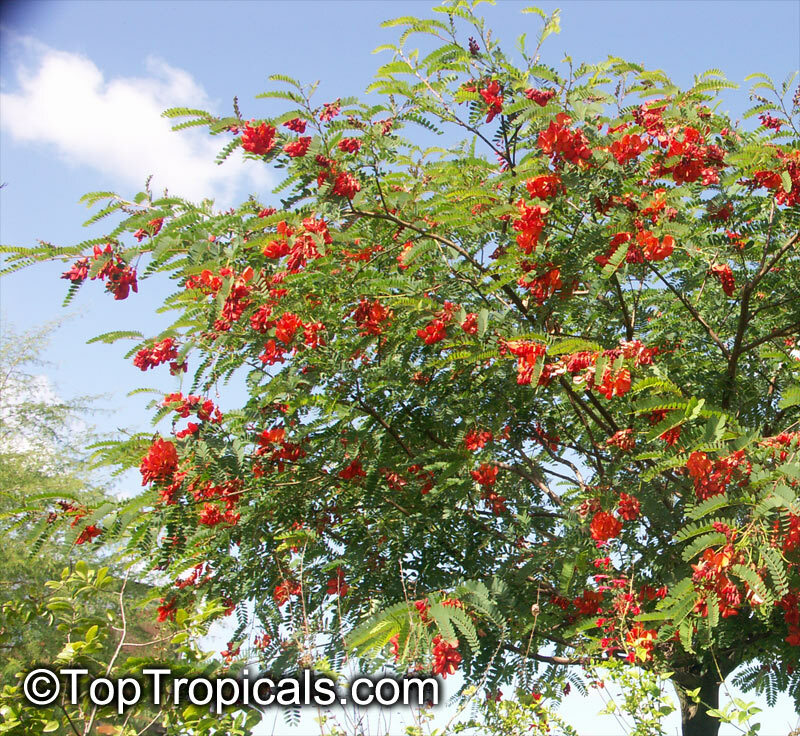 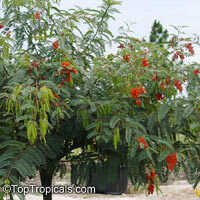 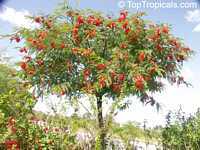 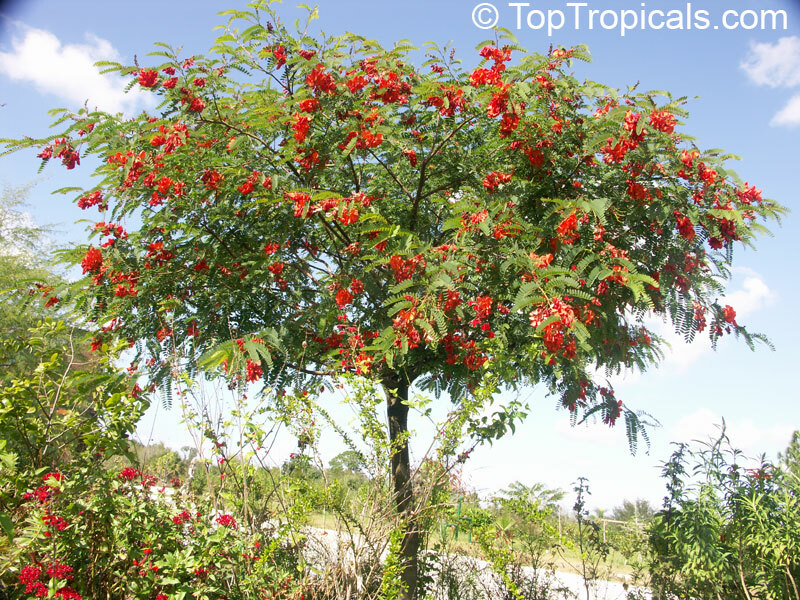 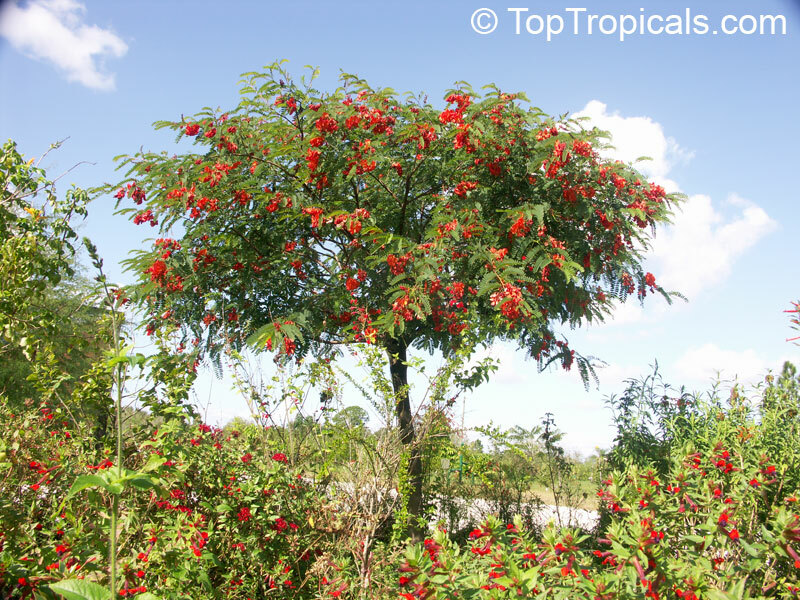 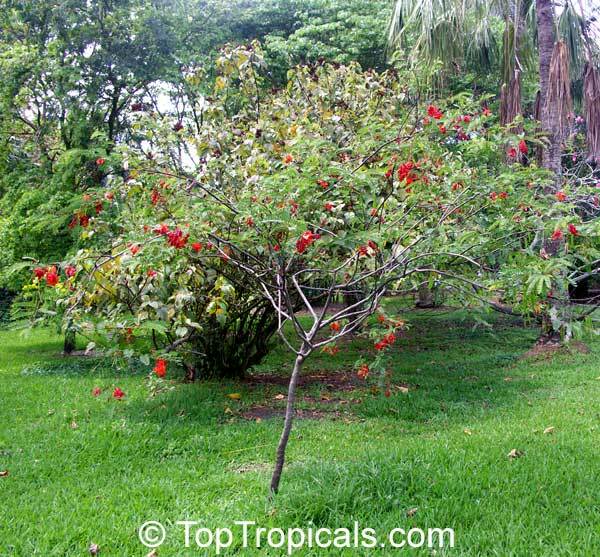 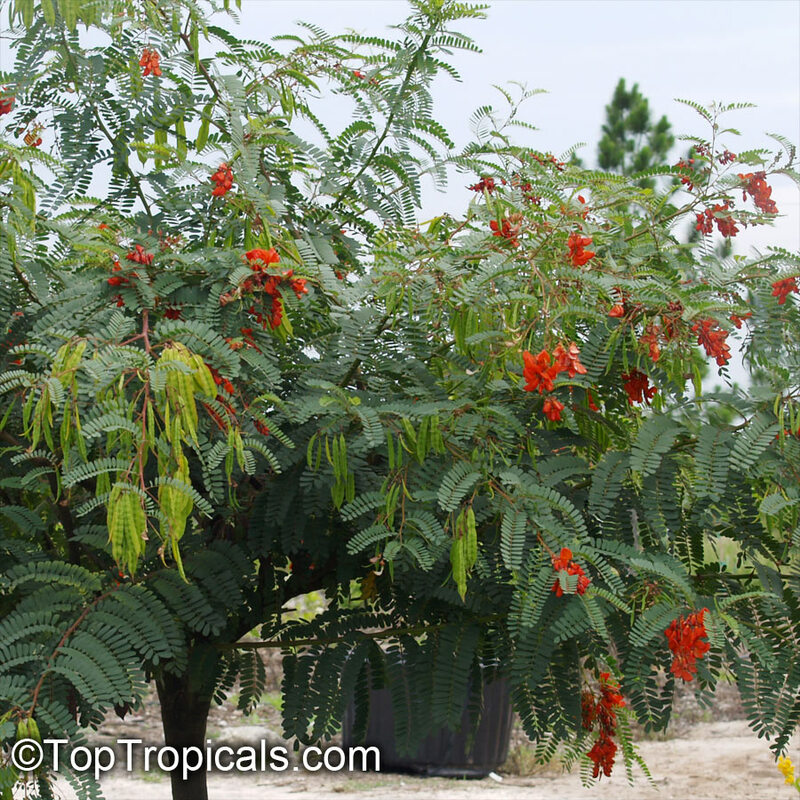 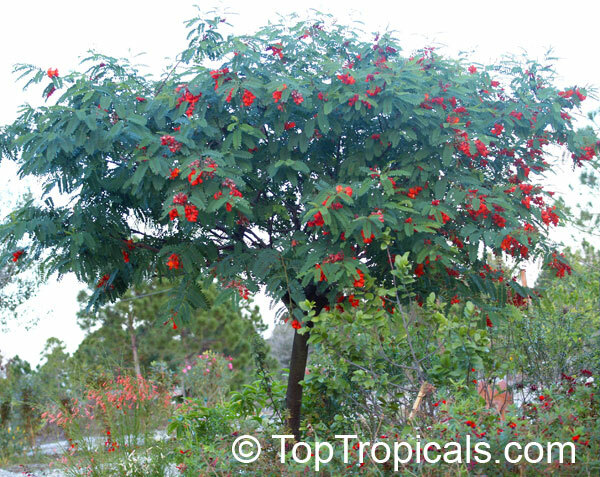 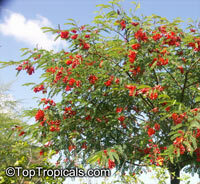 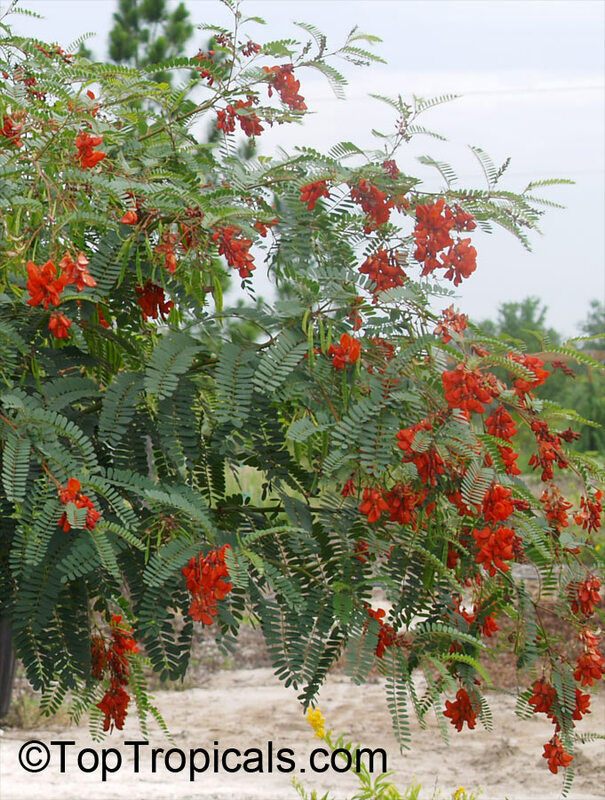 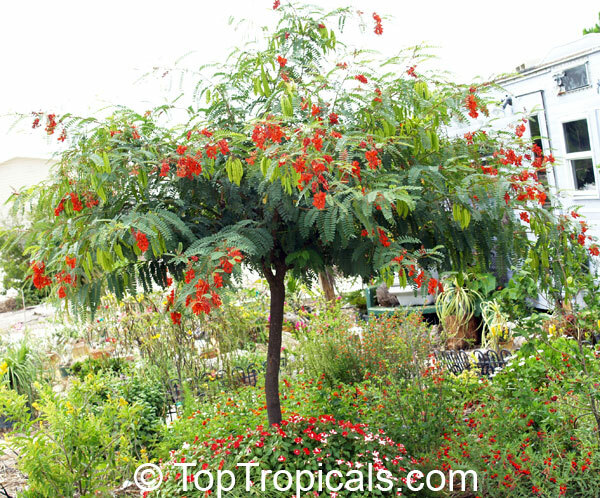 Small bushy tree up to 15 feet tall with spectacular clusters of red flowers. 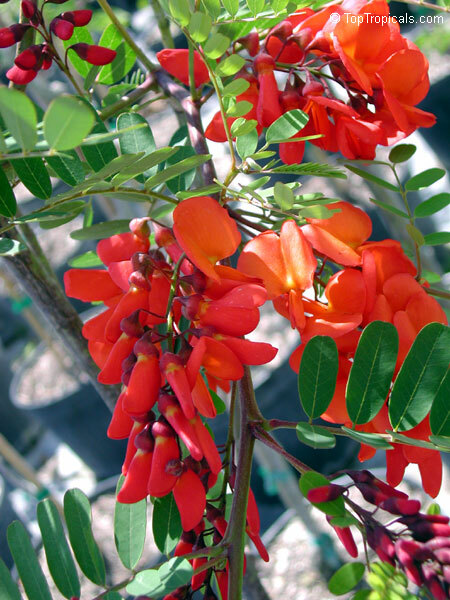 The plant has bright green, drooping leaflets in opposite pairs, and the plant displays very attractive pea-like flowers in hanging clusters appearing from spring to fall. 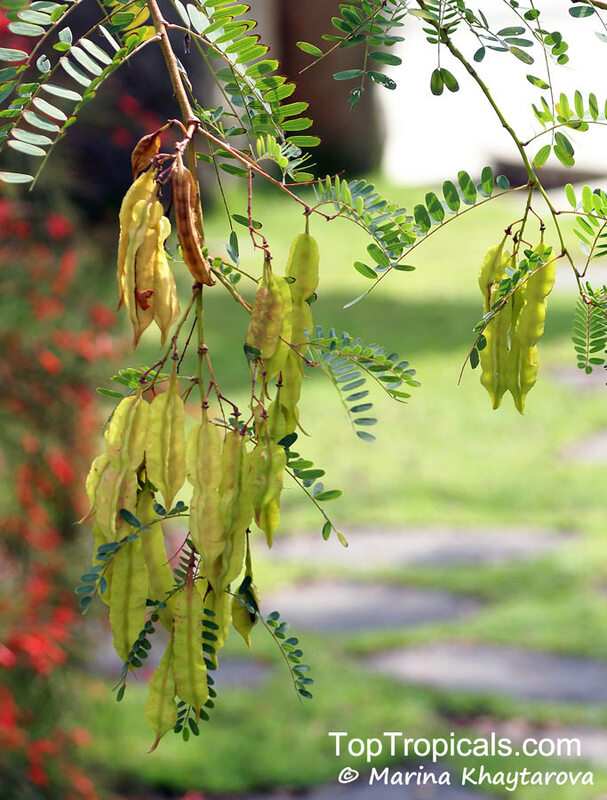 Throughout the summer and fall, the plant produces hundreds of seedpods that may stay on the plant through the winter. The four-winged seedpods hang in clusters, and mature from green to brown. 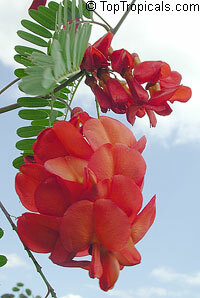 Each pod contains 3-9 seeds, which create a distinct rattling sound when shaken or moved by a breeze. 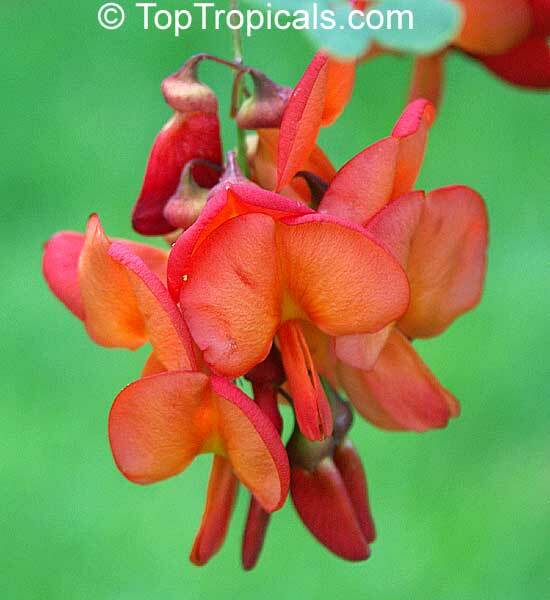 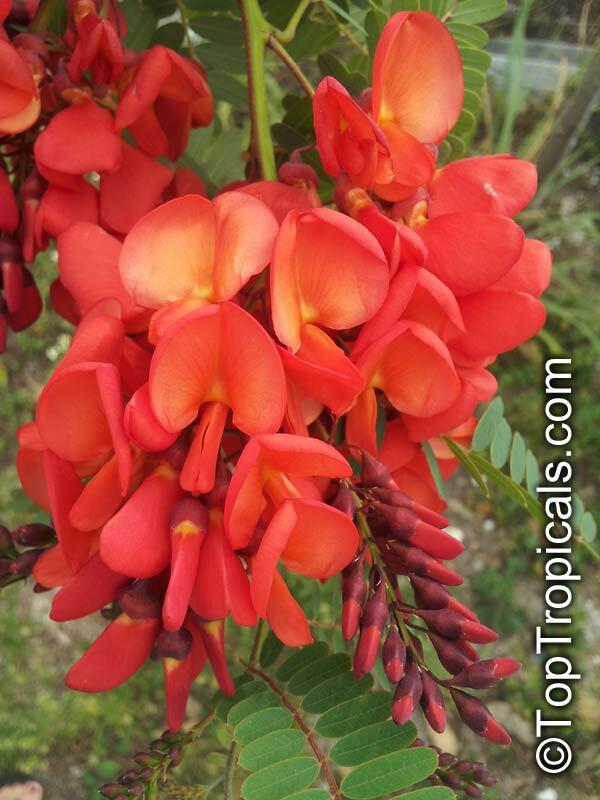 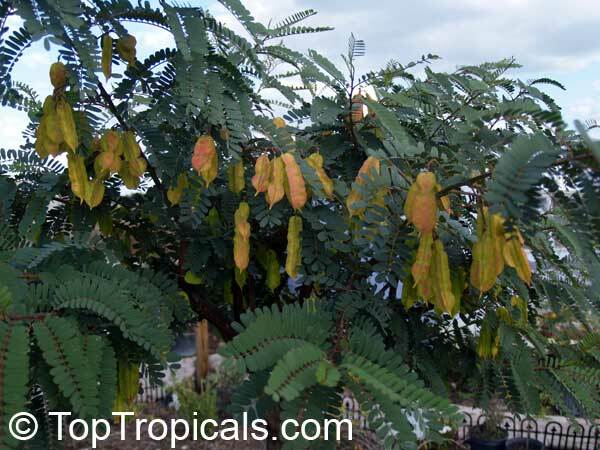 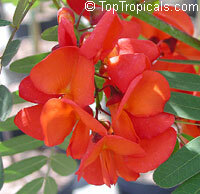 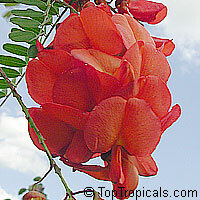 The pods eventually break open, releasing thousands of seeds which grow into new Sesbania plants. 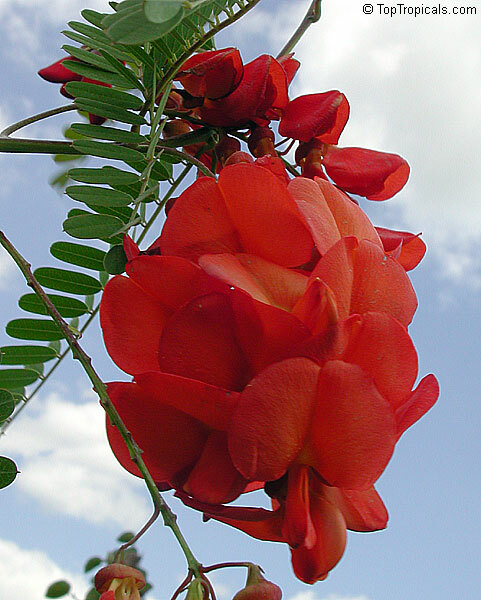 The plant may become invasive when grown near water, seeds spread by water streams. 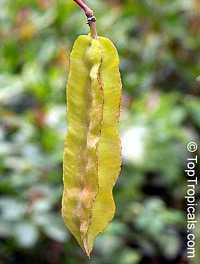 The winged seedpods drop off of the plant into nearby water and then travel downstream to fertile ground. 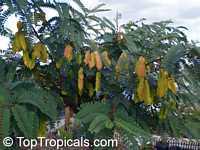 The seeds have a very high germination rate, so many new plants sprout annually. 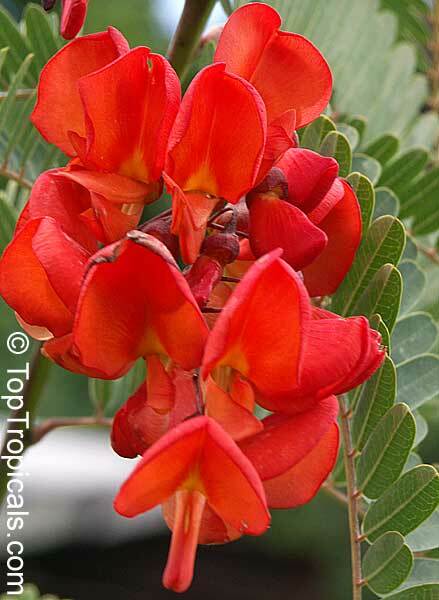 All parts of the plant, particularly the seeds, are poisonous to mammals, birds and reptiles. 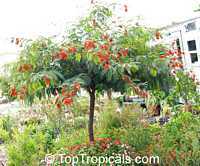 As a small tree it has a spreading open crown reaching 6 to 8 feet in height. 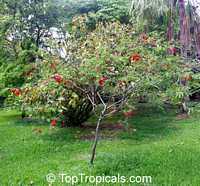 It often forms dense thickets. 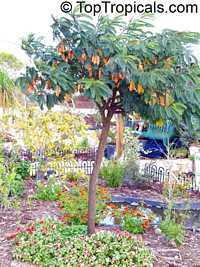 In the United States, the tree was introduced as a garden ornamental. 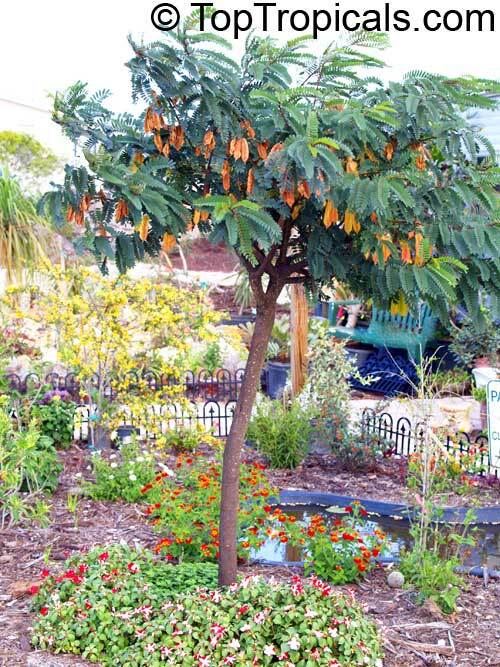 The plant matures in one year and blooms the first year, too. Chinese Rattlebox, Scarlet wisteria - one of the most impressive flowering trees. 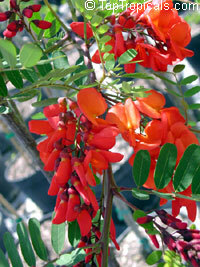 Scarlet flowers, blooms year round on and off. Interesting seed pods that rattle with wind. 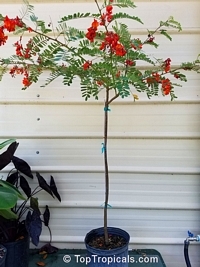 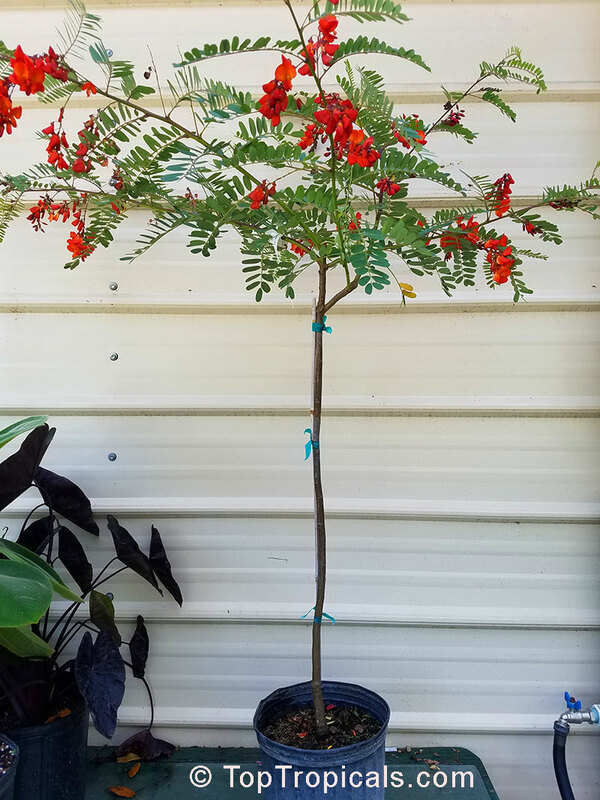 Nice small specimen tree that is fast growing, starts blooming in small size and takes any light and water conditions.This item is not certified for shipping to California. 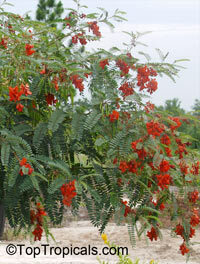 It is a woody shrub that can grow up to 15 feet tall. 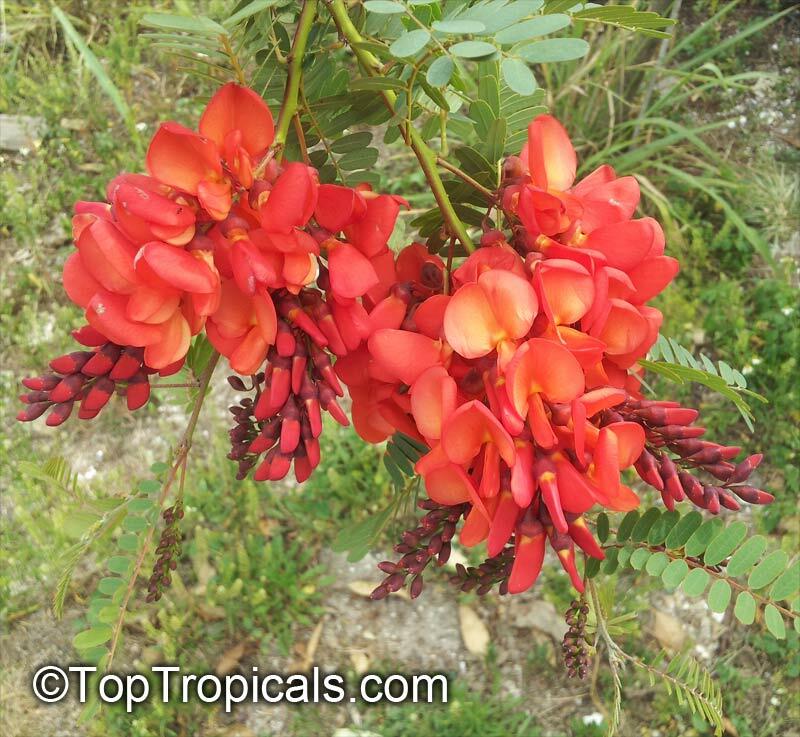 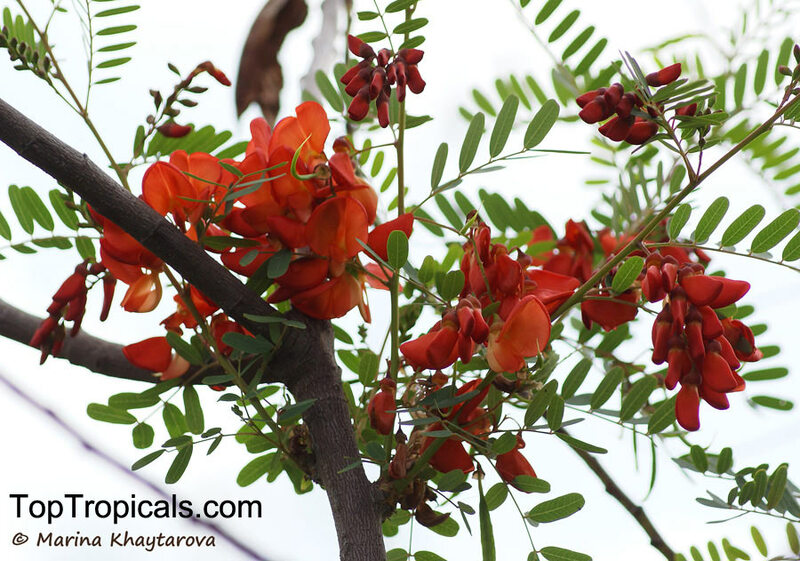 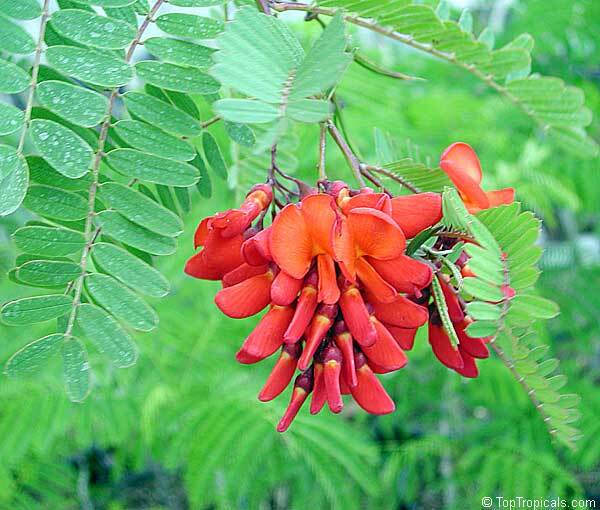 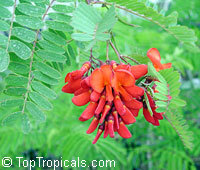 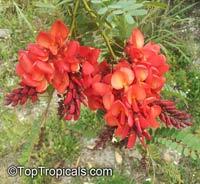 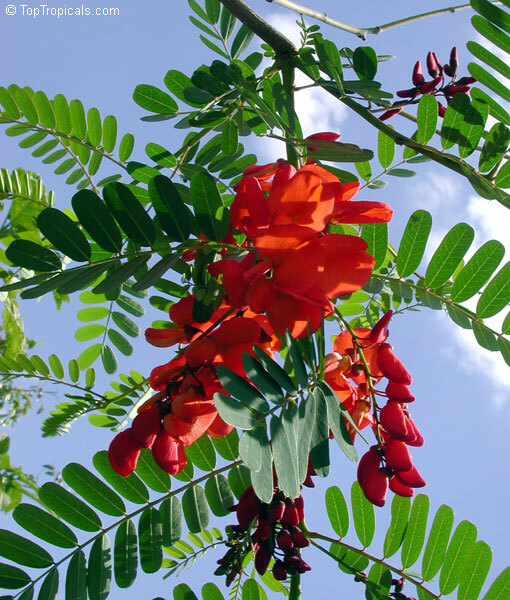 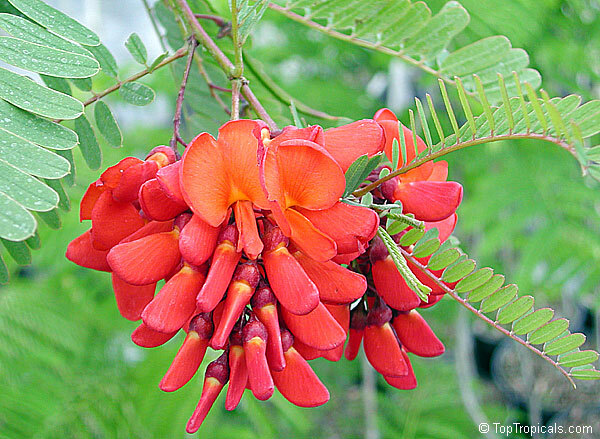 The plant has bright green, drooping leaflets in opposite pairs, and the plant displays very attractive orange-red pea-like flowers in hanging clusters appearing from spring to fall.